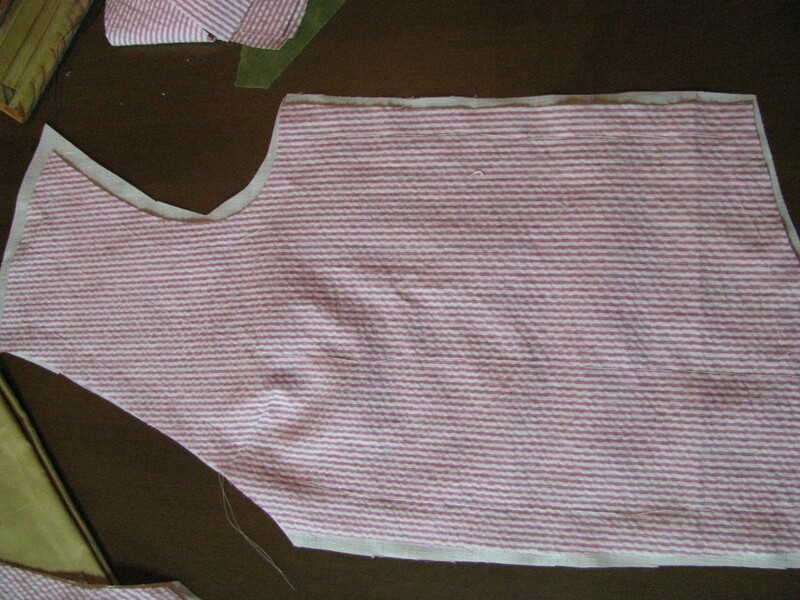 Today I began a very ‘unique’ waistcoat, in that it’s drafted using Devere’s 1866 manual, has an 1890s or later styled collar, and is made out of a bright and very cheerful pink cotton seersucker fabric. So no, this is not period correct at all — rather it’s for a member of Connecticut Valley Field Music for wear during the hot and humid summer when we don’t want to wear the wool frock coats. 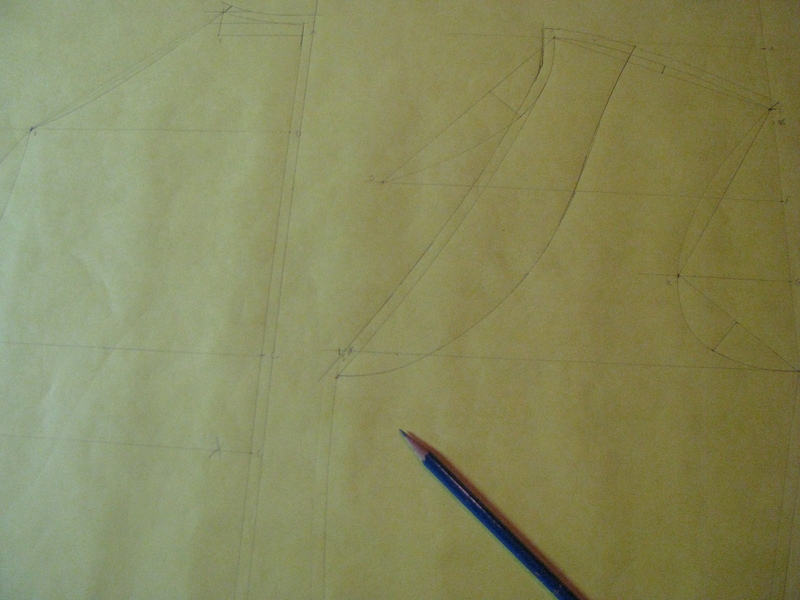 I began with the custom draft, of course, straight out of Devere’s, with the alterations for a collarless vest, since this will only have a false shawl collar (sorry, can’t remember the proper name at the moment), rather than the period correct style that goes all the way around the neck. I decided to cut out all of the pieces at once to make things a bit easier. On a small project like this it’s possible to keep track of all of the different pieces. 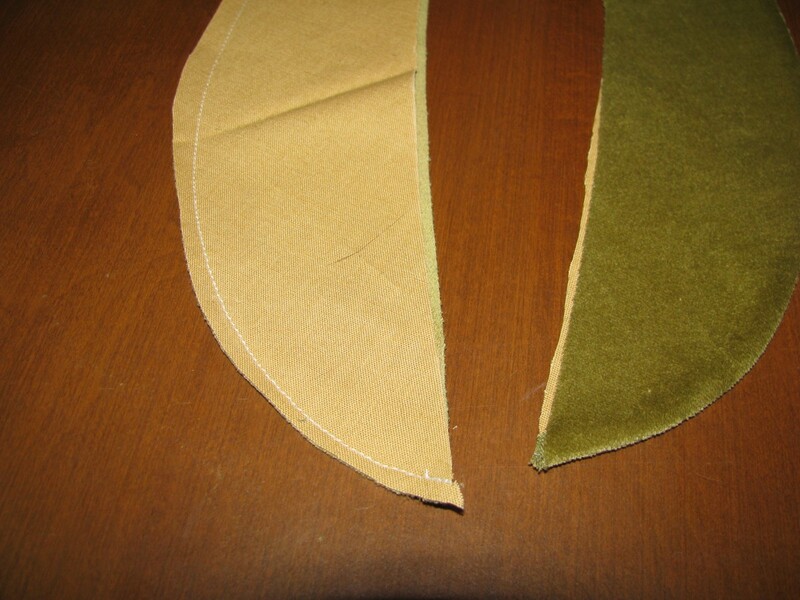 To commence with the sewing, I first put together the collars, which are a very good quality, green velvet, lined with cotton drill. 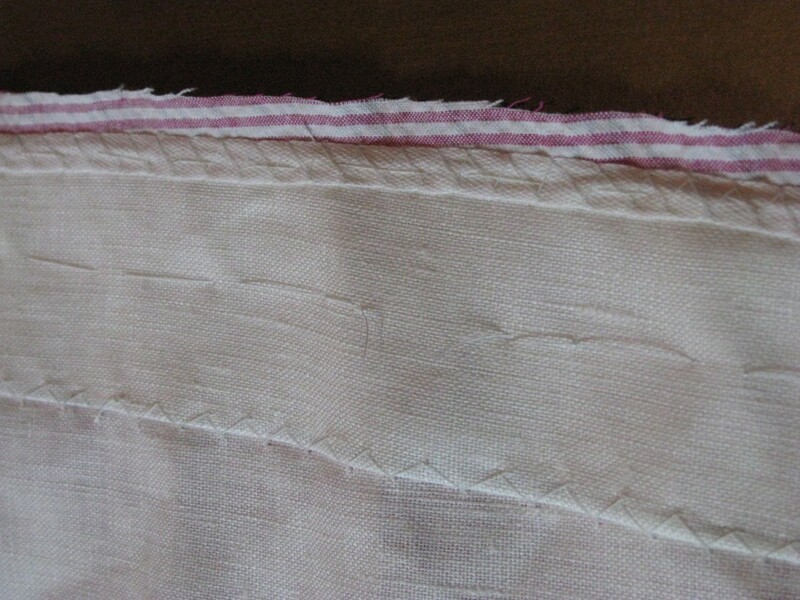 The pieces are sewn right side together along the longer outside edge of the collar. 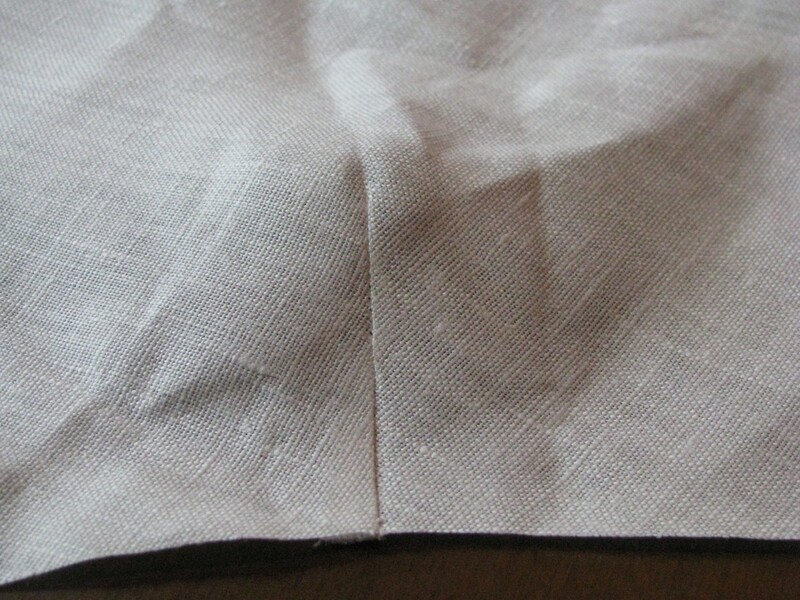 The seam allowance is trimmed to about 3/16″ in order for the collar to more crisply crease. 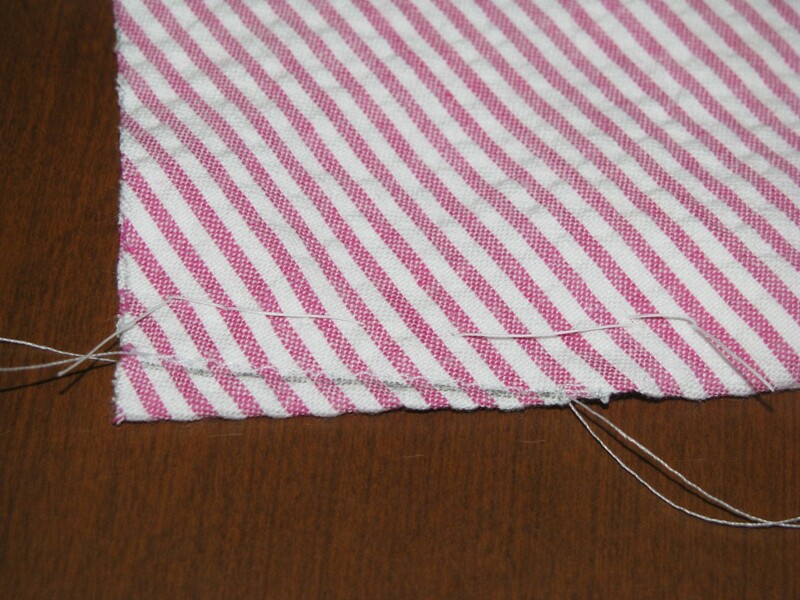 Avoid clipping the seams, as this leaves jagged edges instead of a smooth line. 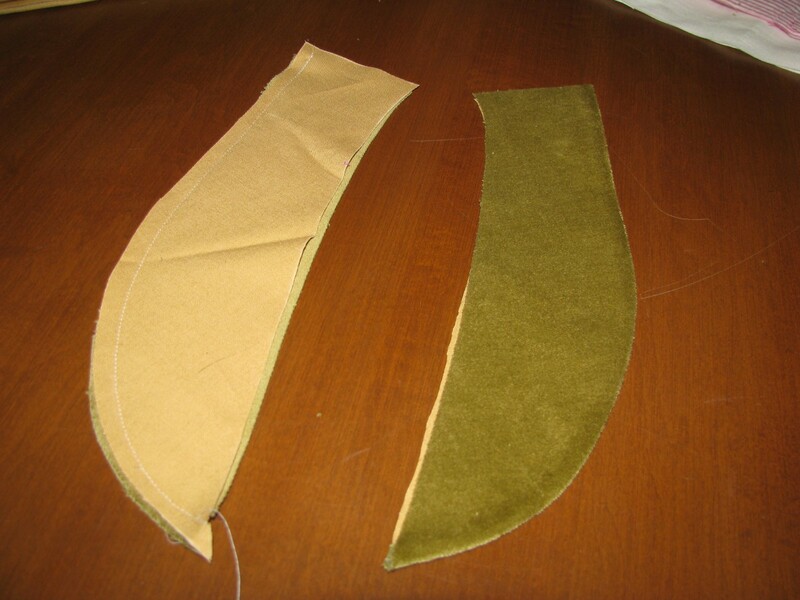 The darts are sewn on the forepart. One of the darts pressed open. I added a dart along the neck edge to take up some of the excess material so prevalent in period drafts. 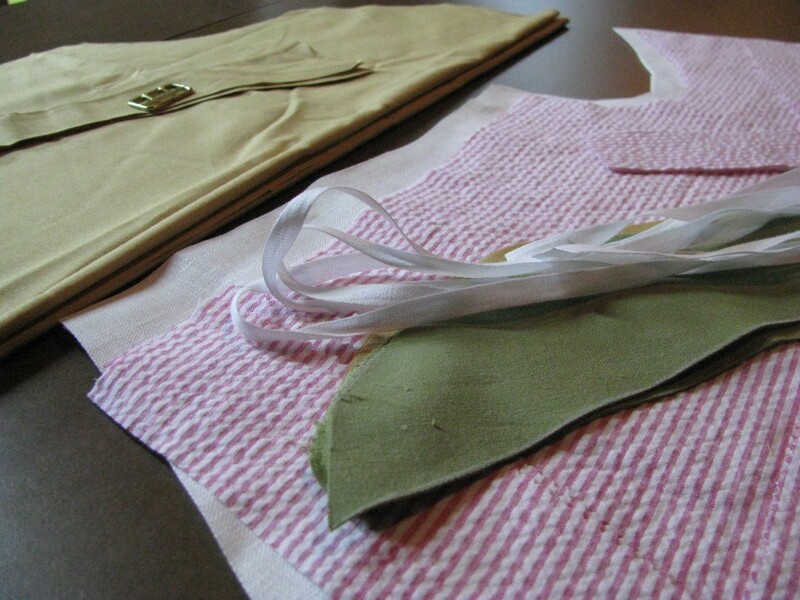 Of course the darts must be placed into the linen canvas as well. 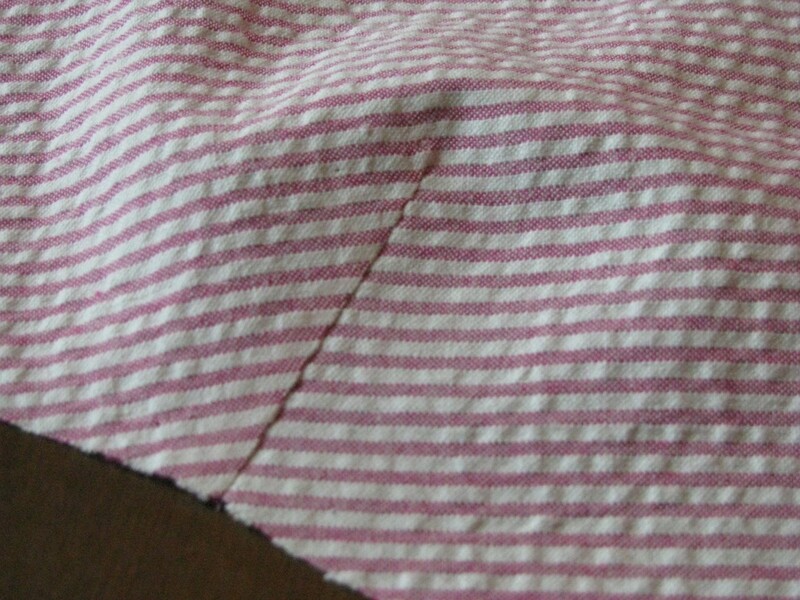 This one seems to have been pressed in two different directions, which I fixed later on when I caught it. 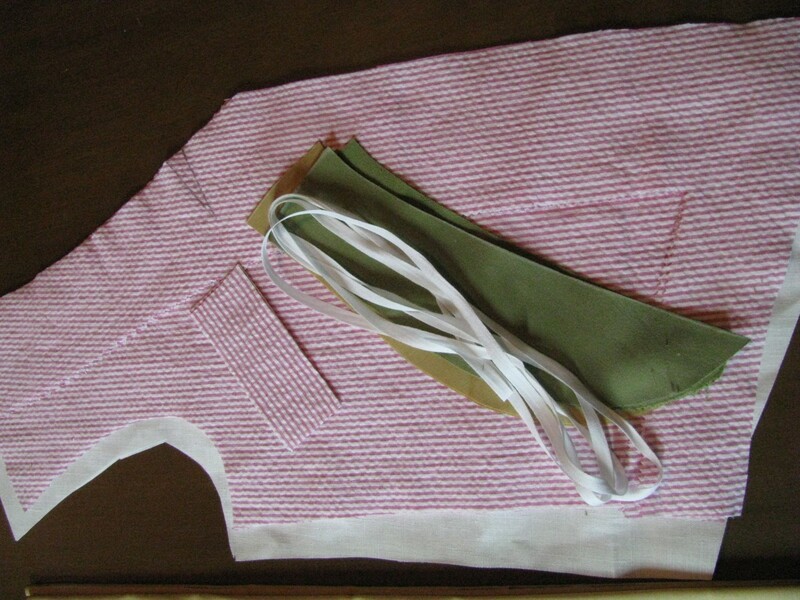 The forepart is basted to the canvas, being careful to avoid any slack in the forepart fabric which would later show in the finished waistcoat. 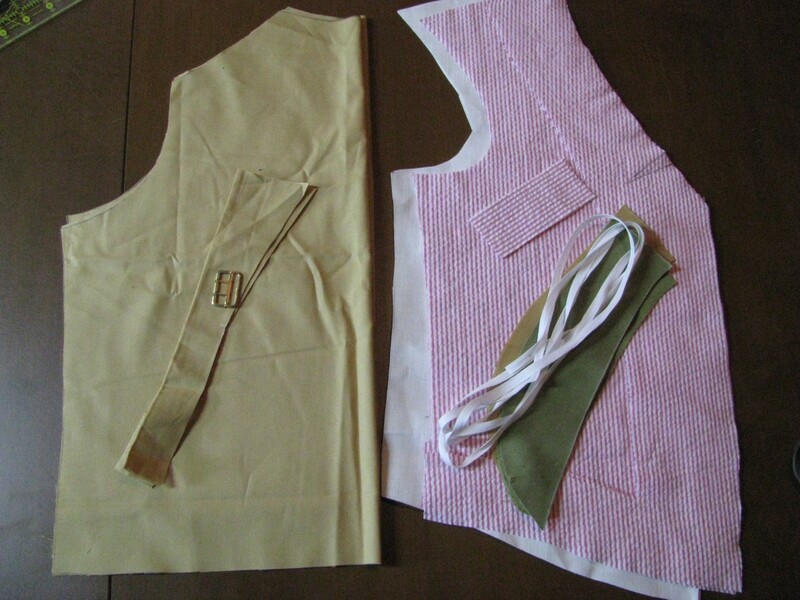 Stay tape and a linen button stay are added to the front and around the sides of the vest for strength and to give a crisp edge to the finished vest. Both are basted and then cross stitched down. 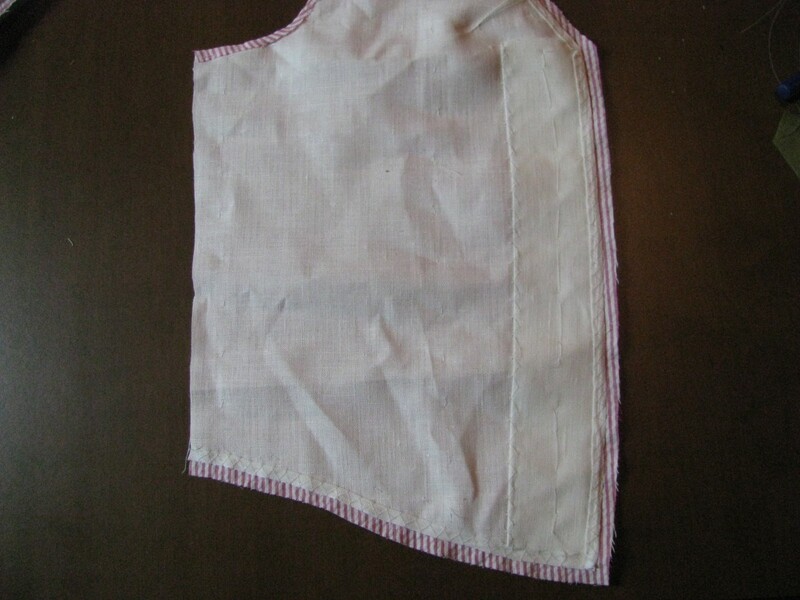 The stay tape is held on more tightly in certain areas, to help the vest hug the body more closely, rather than pull away. I’m so glad you are back! Are the online workshops still around? Thanks! Yes, they are still around, I moved them to https://www.williamsclothiers.net to make things more organized. Currently running a 10% off sale on a monthly membership when you use the code B1AFCD6CAF at checkout. Hope to see you there!